Comments Off on PUBG Mobile guide [Firearms Knowledge] Various roles played by various rifles. Careful understanding of how to eat chickens is not a dream. In the PUBG Mobile: stimulating battlefield, the rifle is almost the most versatile. Rifles are very practical regardless of terrain or conditions. Although the overall strength of the rifle is high, but each rifle in the game actually play a different role, if the player truly understands the rifle of each “gunfire”, you will be to stimulate the gunman in the battlefield. The biggest advantage of AKM’s gun is that it is powerful. In the face of secondary enemies, two A bullet hits the head and another strike can kill the enemy. AKM is also the most popular weapon in the middle range. Because of its great power, long-distance shooting is extremely unstable, but the performance in the middle and long distance is still very reliable. The disadvantage of AKM is that the stability of the muzzle during shooting is poor and the recoil is too strong, resulting in low accuracy. , and AKM’s slower rate of fire, compared to other rifles in the barely gun, so for beginners, AKM is not their best choice. 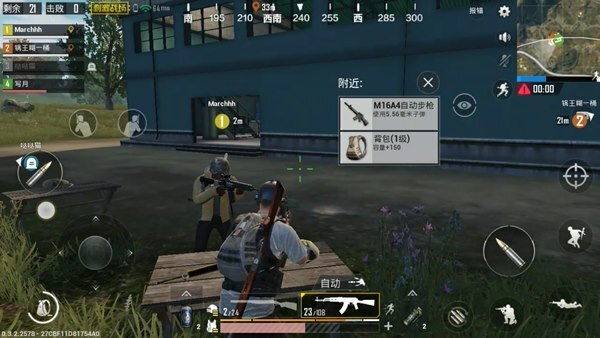 M416 is PUBG Mobile: The most commonly used rifle in the game to stimulate the battlefield, it can adapt to the players in the battle There are many requirements. It can be used as a sniper rifle, a mid-range rifle and a close-range submachine gun. Although its performance in various fields is not the best, the balance of the M416 makes it impeccable. The indicators of the M416 are all excellent. There is no short board in the distance, and the M416 recoil of the full set of accessories is very weak and the accuracy is high. Although M416 is very good, it has a fly in the ointment. First of all, this rare rarity of the gun, and more difficult to complete the M416; Another point is that the M416’s voice is not very sweet, and some players can not accept. SCAR-L This gun is very similar to the M416. It has the same power, the same firing speed, and even recoil. Also almost the same. This gun does not have any outstanding advantages, but it does not have a big flaw. Most of the choices for SCAR-L and M416 are based on player preferences. The SCAR-L level recoil is relatively large. When the enemy is fired at a long distance, the second shot is very jittery. The player must pay attention to this problem when killing the target at a long distance. The rarity of M16A4 in a rifle is relatively common and it is easy to pick up. The gun’s operation is very simple, very easy to use, suitable for new players to carry. The biggest advantage of this gun is that it can control the shooting mode. This gun can be switched to a three-shot mode. The firing speed in this mode is extremely fast. In the game, the M16A4 can play the role of a sniper rifle, which has a high accuracy and a small recoil. The biggest drawback of the M16A4 is the semi-automatic rifle, which cannot be adjusted to the fully automatic mode. 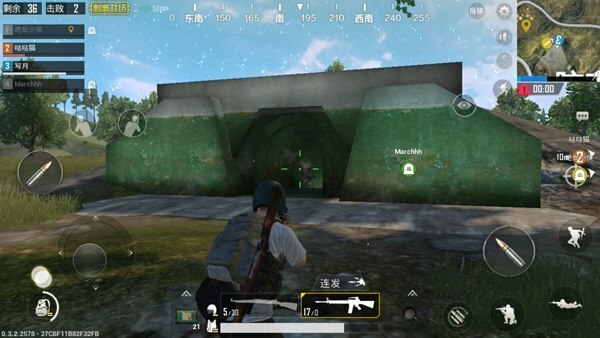 Therefore, the M16A4 is good at long-distance shooting, but once In the close combat, its short board will soon show up, so the player should not use it and the enemy just to use it. Normally, if the player does not have a special preference for firearms, he usually chooses a M416 and SCAR-L. The most important weapon, after all, is that the combined capabilities of these two guns are too high and the situation of adaptation is also very wide. If the player likes AKM, another weapon can be used with a sniper rifle, thus avoiding the shortcomings of AKM’s long-range precision; if the player is carrying the M16A4, the other weapon must select the automatic rifle or submachine gun to make up for the M16A4 semi-automatic Short board. 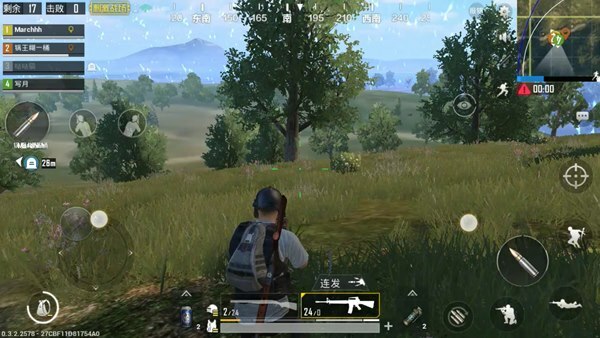 PUBG Mobile: Stimulating the rifle in the battlefield is very cost-effective, and the player must select the most suitable rifle according to his preferences!